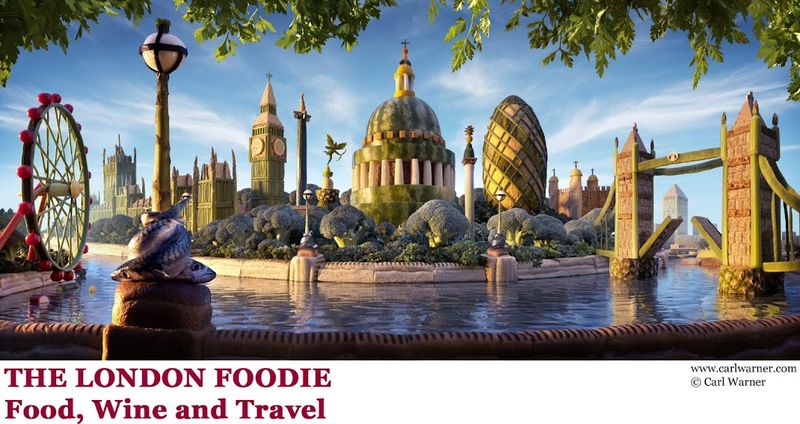 The London Restaurant Festival 2012 (1-15 October) is replete with creative treats for seasoned omnivores. This year's celebration featured the new Kitchen Influentials series. These one-off Sunday lunches, especially for American Express card members, teamed up pairs of top chefs for double fun and surprises. 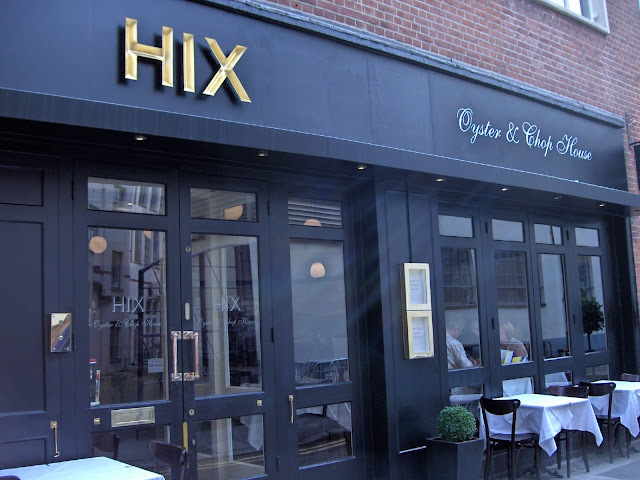 It was off to the lunch hosted by Mark Hix and Harvey Ayeliffe at Hix Oyster & Chop House in Smithfield that I went. Harvey has worked with Mark for some 15 years, and more recently, together they opened Alfred's the Dunhill members' club in Mayfair. So with these impeccably tailored creds, the day's lunch was full of dapper promise; no over-styling, no conceits. Mark Hix's food is always about beautifully seasonal produce that is painstakingly sourced from choice suppliers. 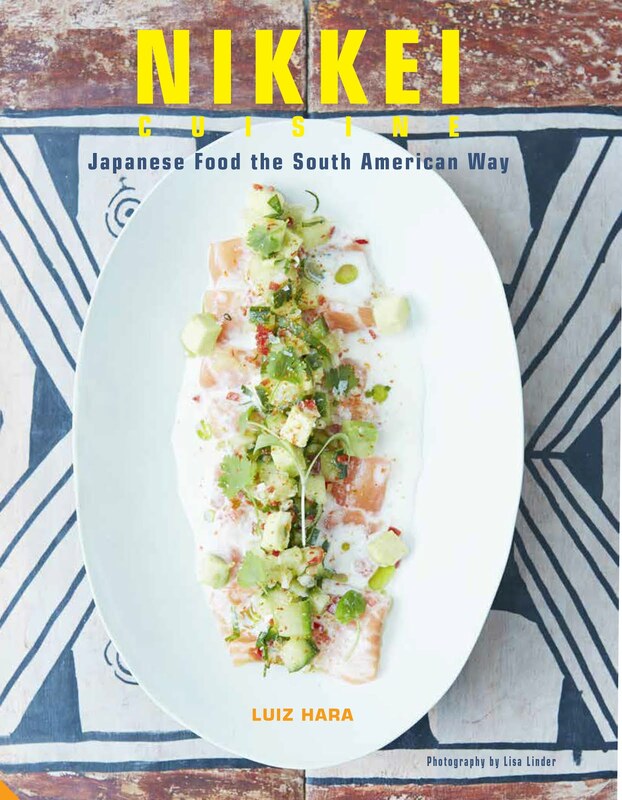 Despite the restaurant being a mere toss of a pork scratching from Smithfield Market, Hix chooses to source his meat with a lot more fuss and attention. There are Cornish clues around the place. The dining room we sit in seems like the kind of canteen which butchers might like to feast in. Shiny utility finishes, a solid, well-used bar and proper bright lights keep you gazing around the space, meeting the eye of fellow diners doing the same. It seemed more like a lively weekday, with plenty of social bustling between tables - which is always allowed on these special occasions. This is what Sunday lunch in the city should be like. All eyes eventually get darting to the wall art. Hix is known for being a patron of contemporary art, with an astute eye for snaffling up pieces to adorn his restaurants. He is a lucky, lucky man to have such available wall space with which to delight his diners. It all fits without distracting from the purposeful look of the restaurant. Paper table covers are always a good sign. They clearly encourage a kind of informality: 'Don't mind it if you get messy'. And we didn't. So when lunch was served by our waiter with the perfect handlebar moustache, we knew it would end up being the type of Sunday session with a bit of boisterous banter flung round the table. We hushed for the first course of steamed Lyme Bay shellfish. It was lightly prepared so that the individual flavour of each offering could be clearly tasted. The single oyster which crowned the dish was quite simply enough, and made me think how any typical platter of six or 12 oysters so dulls your palate for anything else. It started us musing about shoreline foraging and wanting to head for the seaside. A zingy Gavi di Gavi complemented this dish, and had us nibbling again on the teasing ribbons of fried parsnip that had welcomed us to the table; not leaving those. It was back to hedgerow and field for the next two courses. Grouse was finely slivered into a salad, yet its dark gamey flavours still beat through. It seemed a little on the dry side for those of us once-a-year grouse eaters, who only know how to slather on the gravy and bread sauce. Never mind, subtle sharpness came from elderberries that we naughtily crushed into red stains on the plate. Next came the rib of veal, served in hunks that were sliced in a way that only someone truly skilled with a single curved swipe of a knife can manage. This magnificent, honest meat was perfectly melting. By this point, a magnum had been placed on the table. It had to be this magnum, instructed our host as he explained his choice to me. 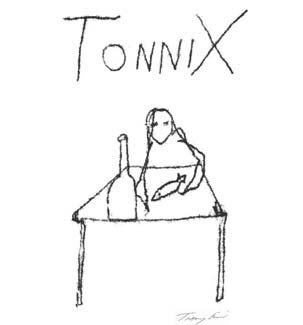 Why such a name as Tonnix? 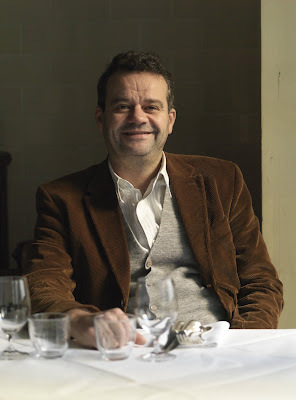 Well, Tonnix - a luscious Douro - was dreamed up by Hix and restaurateur friend Mitch Tonks. The simple label was another clue that this was the host’s proud cellar choice. It was not just any meandering of the pen; this was a Tracey Emin doodle. Back on the foraging trail, we marvelled at the mountain of Autumn blackberries on the light-as-air apple pudding, and we thrilled like kids at the giant one hidden inside like a sixpence. These were not uniform black blackberries on steroids, but wild looking, wind-beaten bounty, tinged with dark juicy pinks. 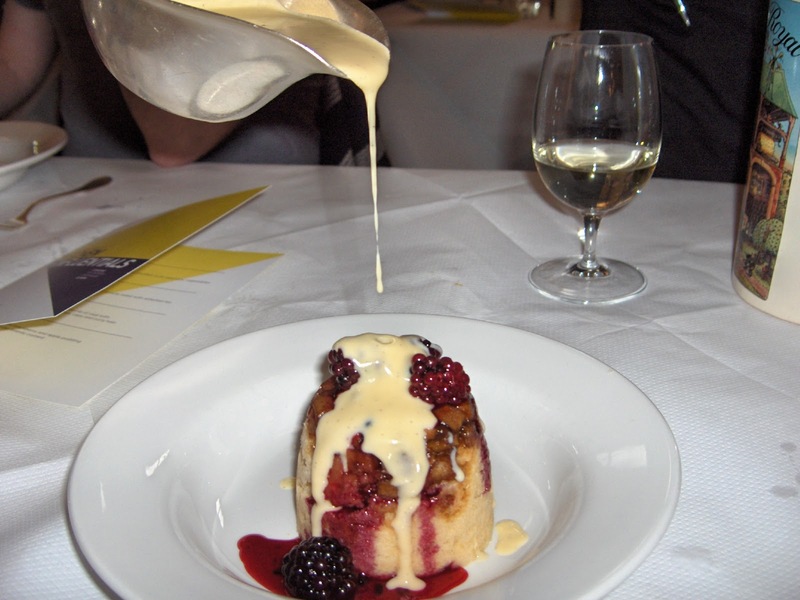 Then arrived the cider brandy custard which was non-stop flowing. We all insisted it needed continuous pouring for the sake of achieving a decent photo. 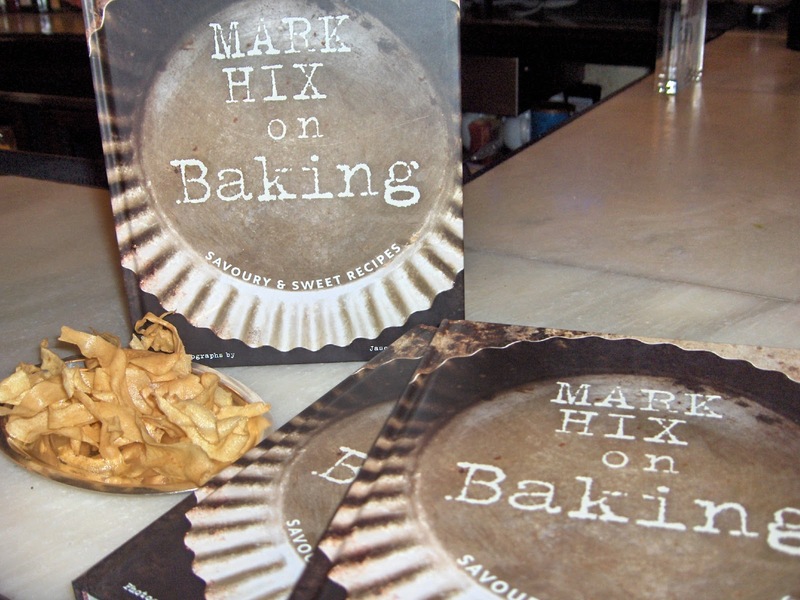 I am hoping the recipe will be in Mark Hix's new Baking book. The sweet Jurançon we sipped alongside had notes of dessert apple too. As for our host, Mark Hix, he was charming. Comfortable with his guests whom he treated alike as old friends, he had plenty of time to sit and talk away. Wouldn't mind loitering on a street corner with him for a breath of fresh air, we thought. I am always one to quiz people about the next treat in store, so I asked him to spill the beans. I'm hopeless at keeping secrets - he doesn't know that, of course. So as not to give too much away, all I can say is that the next Hix establishment is likely to be somewhere in West London. W10? W11? Guessing from his keen eye for vintage detailing, it is likely to be an unloved space which he will gloss up again; a shell of a building he can fill with artwork and more, fine, discreet dining. Well, I'll ask him again until he tells me. What an afternoon. I would have liked to stretch it to cocktail hour, to test the list of gentlemanly offerings. Vintage cocktail trappings on the bar are always a sign that bartenders want to flex their skills. But that makes for another visit, for sure. It's time to leave. 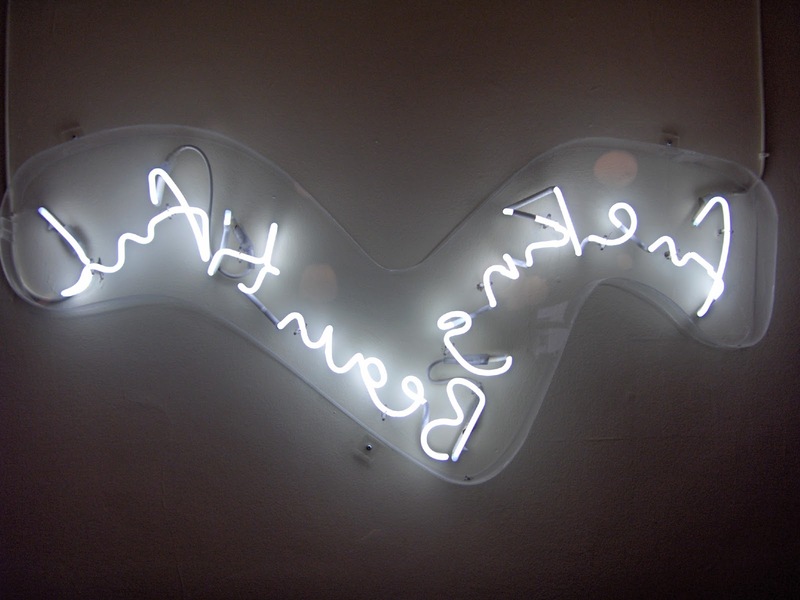 The light sculpture in hot white neon by Tim Noble & Sue Webster that hangs on the back wall says it all about the ambience of this place. Put a mirror against this photo, and you'll get the message loud and clear. Gavi di Gavi Bric Sassi, Piedmont 2011 - Vibrant honeyed fruit-burst flavours. Tonnix 2010 in magnum - This full-bodied, dark fruit wine is produced by Quinta de la Rosa at Pinhão in the Douro Valley. Domaine Cauhapé Symphonie de Novembre, Jurançon 2009 - Beautifully rewarding, both dry and sweet. Exotically perfumed. Su-Lin Ong attended on behalf of The London Foodie and dined as a guest of American Express, Mark Hix, Harvey Ayeliffe and MHPC, 7 October 2012. You had me at vintage cocktail trappings. Lovely write up. We had the beef flank and oyster pie, and the 28 day aged South Devon Ruby red beef, and both were both sensational. Amazing write up.... how ignorant that i dint realize this blog all this while.